The campaign, which took off on Facebook wished to take the participants down the memory lane of their very first Holi experience with their children. #ColorsOkPlease, a Holi special contest, run on Facebook on behalf of Little Kangaroos by LCmediaHouse was not only a success but also received good response from the contestants, grabbing equal attention at the same time. First, the cover photo of the page was changed, after which teaser images were posted on the page to arouse curiosity among the people. The instructions and the actual contest details were soon revealed via posts, after which the interest level shot up, converting itself into participation. The contest was aimed at the participants, sharing their stories and pictures of their very first Holi experience with their own beloved children, using the hashtag, #ColorsOkPlease. #ColorsOkPlease contest reached out to many people and the likes for the page began to increase. This contest saw many enthusiastic participants, who not only shared their heart-warming stories but also thanked the platform for taking them down beautiful memory lanes. 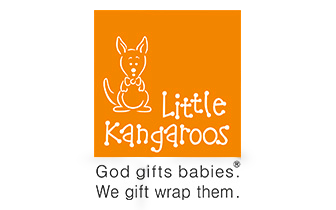 The winner received an exclusive designer wear from Little Kangaroos.